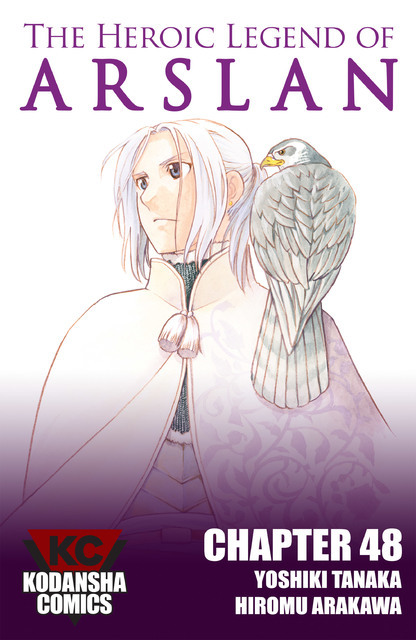 English translation of the Japanese manga Arslan Senki (アルスラーン戦記). In the prosperous kingdom of Pars lies the Royal Capital of Ecbatana, a city of splendor and wonder, ruled by the undefeated and fearsome King Andragoras. Arslan is the young and curious prince of Pars who, despite his best efforts doesn't seem to have what it takes to be a proper king like his father. At the age of 14, Arslan goes to his first battle and loses everything as the blood-soaked mist of war gives way to scorching flames, bringing him to face the demise of his once glorious kingdom. However, it is Arslan's destiny to be a ruler, and despite the trials that face him, he must now embark on a journey to reclaim his fallen kingdom.